Here it is... 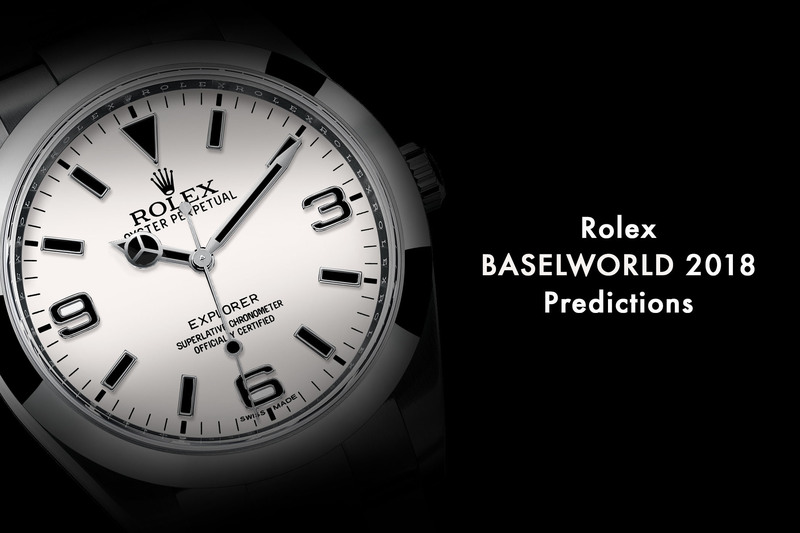 The MONOCHROME team delivers its yearly forecast on the potential novelties that Rolex could unveil at Baselworld 2018. Baselworld 2018 is fast approaching and a fleet of new collections will be unveiled. 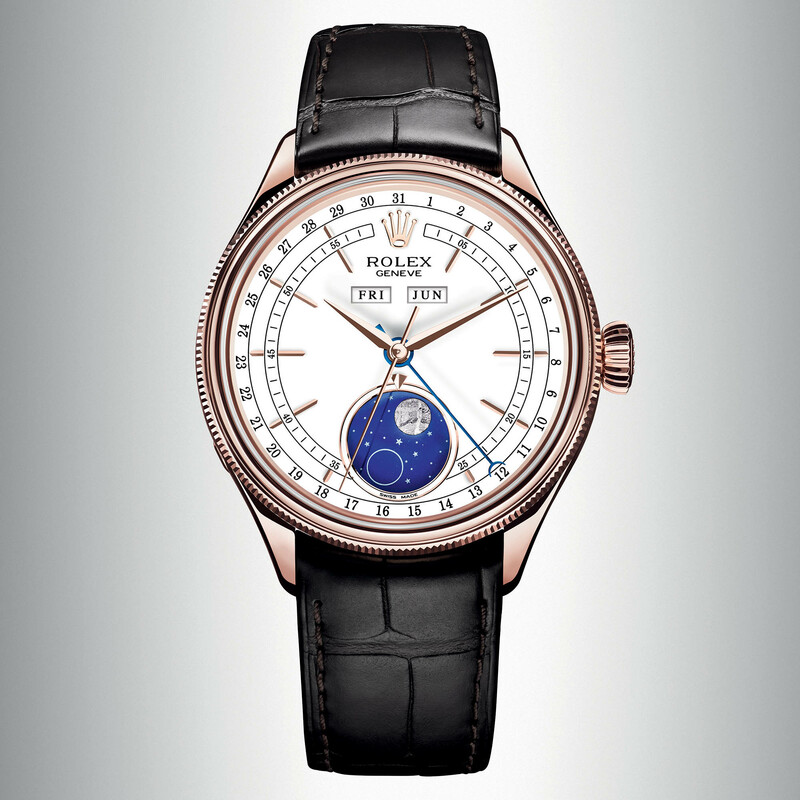 Among them will be the new Rolex watches, the most anticipated novelties of the year. This also means that it’s that time of year when MONOCHROME looks into its crystal ball and gets creative. Just like we did in 2014, 2015, 2016 and in 2017, we have spent quite some time on the drawing board trying to guess and design what could be the Rolex Baselworld 2018 Collection. And here are the watches that we think Rolex could potentially launch at Baselworld 2018. Keep in mind that this article is based on our own expectations and analysis. These are just predictions. Nothing is official. For a few years now, Rolex seems to be on a less conservative path. The novelties presented are more creative, more modern and more controversial. We have even seen a slight hint of vintage references in some of the new watches. In 2016, Rolex introduced what is certainly the hippest watch on the market now, a watch that many collectors had been clamouring for: the Ceramic Daytona. Yet, that same year, it also produced something totally unpredictable, the Air King with a colourful dial. In 2017, it was the Sea-Dweller 126600 with its large case, its red line of text and the controversial cyclops lens on the date. In the eyes of many purists, the cyclops lens became the culprit of a crime committed against the integrity of the Sea-Dweller. 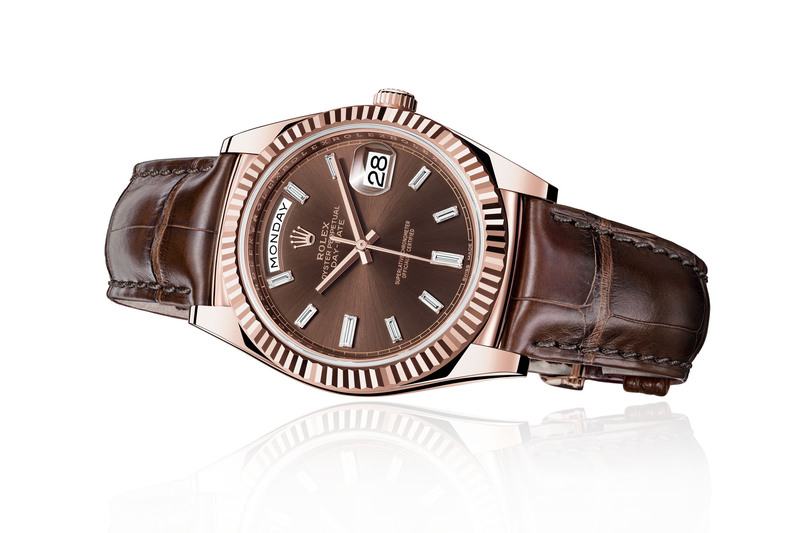 Rolex also presented the Sky-Dweller in steel, a watch that we never expected to see in such a common material. 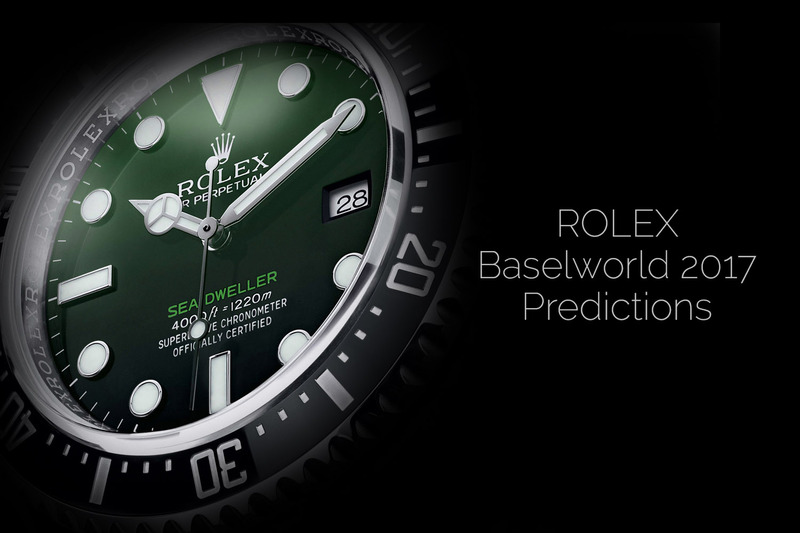 This is all to illustrate how Rolex has become less easy to predict. A fact that makes our lives both more difficult and, surprisingly, easier. While it is now harder to guess what Rolex might introduce, it also allows us more creative license. We have to inject a bit of modernity and funkiness into our predictions… And talking about them, here are our predictions for the (possible) Rolex Baselworld 2018 novelties. In 2015, Rolex introduced a new generation of movements, the calibre 32xx – which was launched originally on the Day-Date 40 with the calibre 3255, followed by the calibre 3235 (3-hand and date) seen on the Datejust and the Sea-Dweller. It would make sense then to see this new generation movement being introduced in other collections. 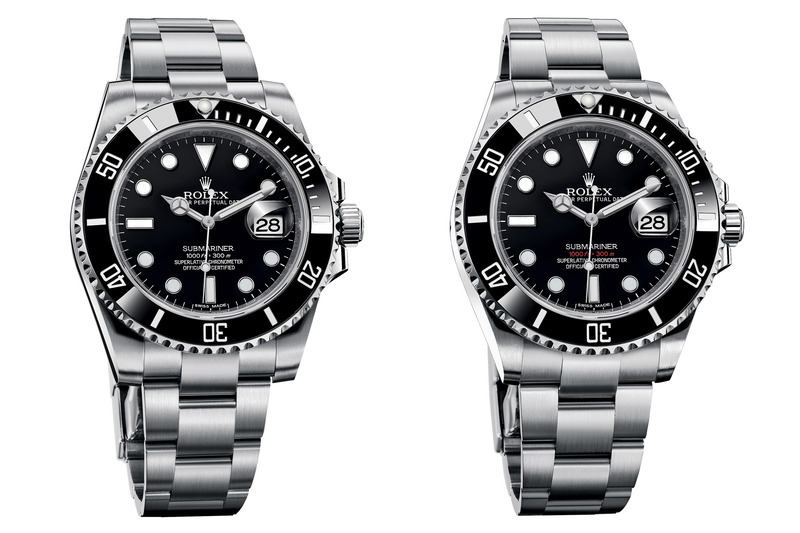 This is why we’ve imagined a Baselworld 2018 Rolex Submariner Date 126610LN, an heir to the current Ref. 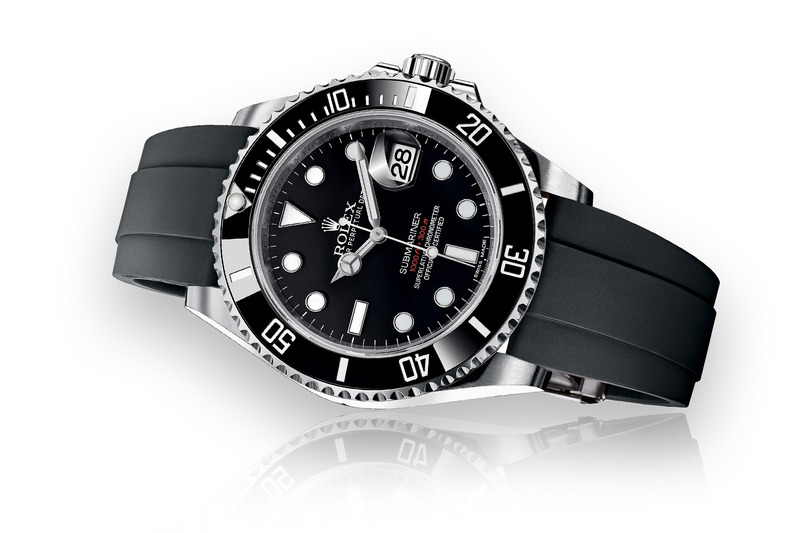 116610LN (the Submariner Date in steel with a black bezel). Another update regards the dial, to which we’ve added (for the fun of it) a red line of text, not for the name, but for the water resistance. A cool, slightly vintage touch. Finally, as the Submariner is a proper dive watch, it would make sense to see it equipped with the Osyterflex rubber bracelet – which we’d like to see included in the box, alongside the steel bracelet. 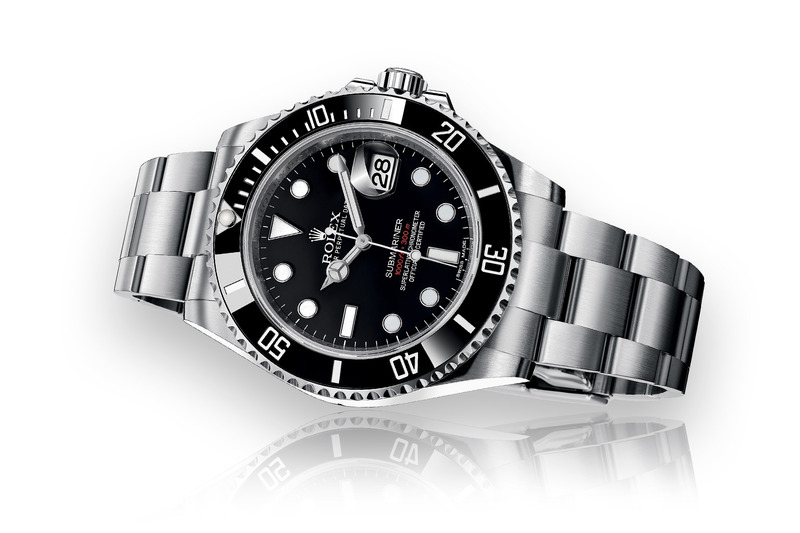 As you can see, our imaginary Baselworld 2018 Rolex Submariner 126610LN is just an update, not a revolutionary change. Since the Submariner is one of the most sought-after models in the collections, it would be quite risky to drastically alter its character. As a side note, some discussions on forums indicate that there is a shortage of the Submariner and that the watch is almost impossible to find at retailers… If this is a reality, it might well indicate an imminent update. 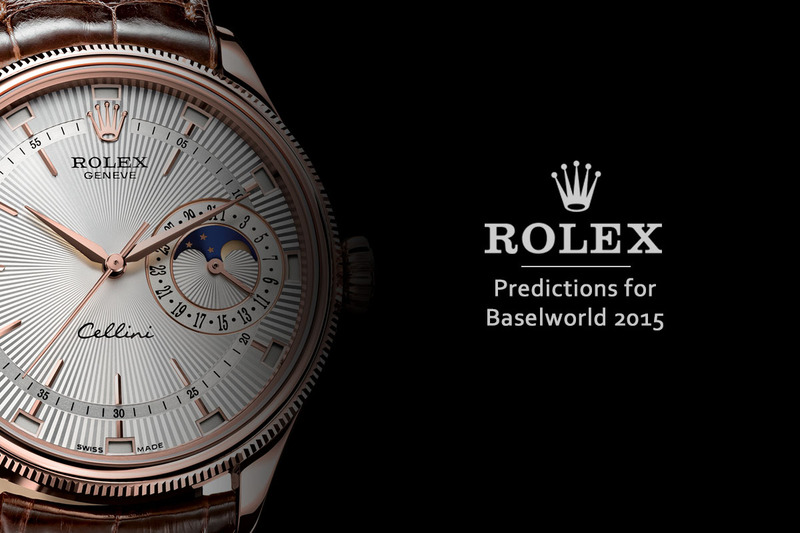 Our next Rolex Baselworld 2018 prediction is more of a personal wish than a potential candidate. However, knowing how Rolex is behaving these days, anything could happen. 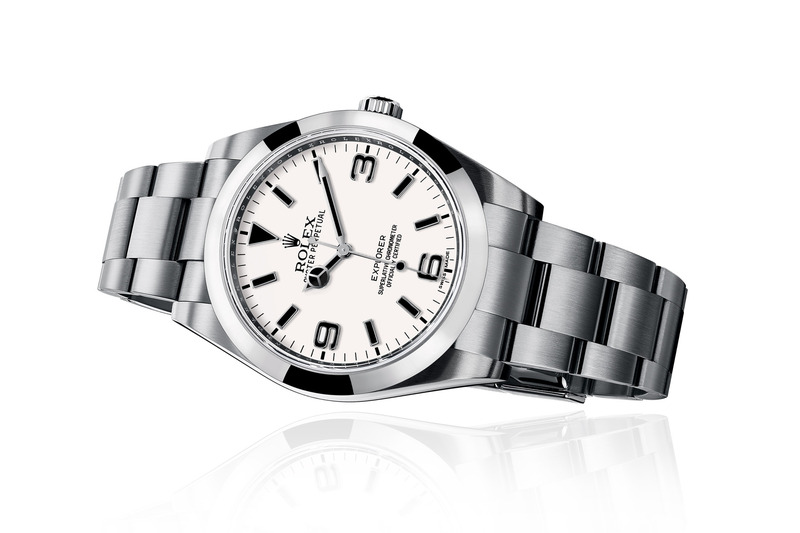 This is why we have imagined a “polar” version of the Rolex Explorer 1 ref. 214270. And admittedly, it is extremely cool. Based on the specifications of the model introduced at Baselworld 2016 – 39mm case, updated 3-6-9 numerals and a correctly sized minute hand – we’ve imagined a white dial version of the Explorer. This watch remains a myth for vintage collectors (Christie’s auctioned an extremely rare ref. 6610 with white dial back in 2013) and its comeback could make quite some noise. As part of our Rolex Baselworld 2018 predictions, this Explorer 1 “Polar” features a white dial with the iconic 3-6-9 numerals, yet the major update is the addition of black luminous paint on the indexes and hands, creating a high contrast between the dial and the markers. All inscriptions follow the same idea, and are printed in black. The rest of the watch would remain technically identical to the current ref. 214270. The second version of the Rolex Cellini Triple Calendar we’ve imagined for Baselworld 2018 is a simpler variation, without the moon phase indication at 6 o’clock. Why create a triple calendar? The Moonphase version of the Cellini already features two essential elements of calendar watches – with its peripheral date track indicated by a central hand and its moon phase complication positioned at 6 o’clock. This is why adding a complete calendar function, with day and month windows at 12 o’clock would make sense. 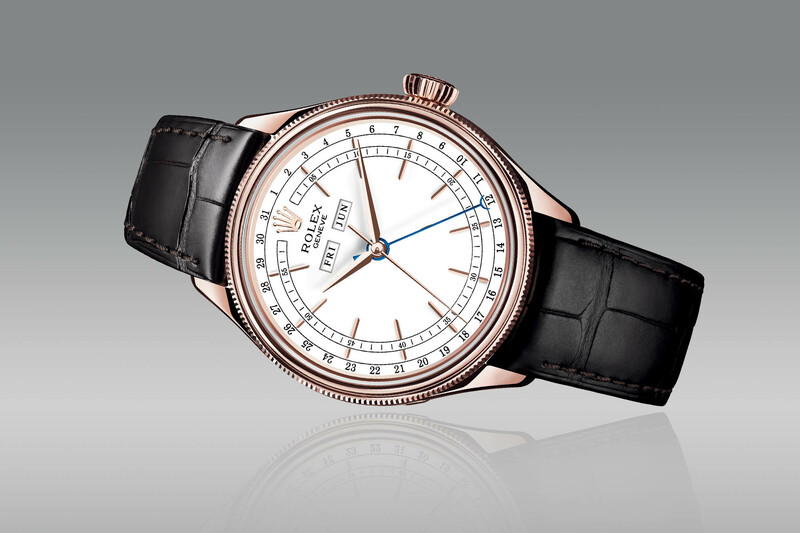 It would even enhance the classical, slightly vintage look that Rolex has given to the collection. 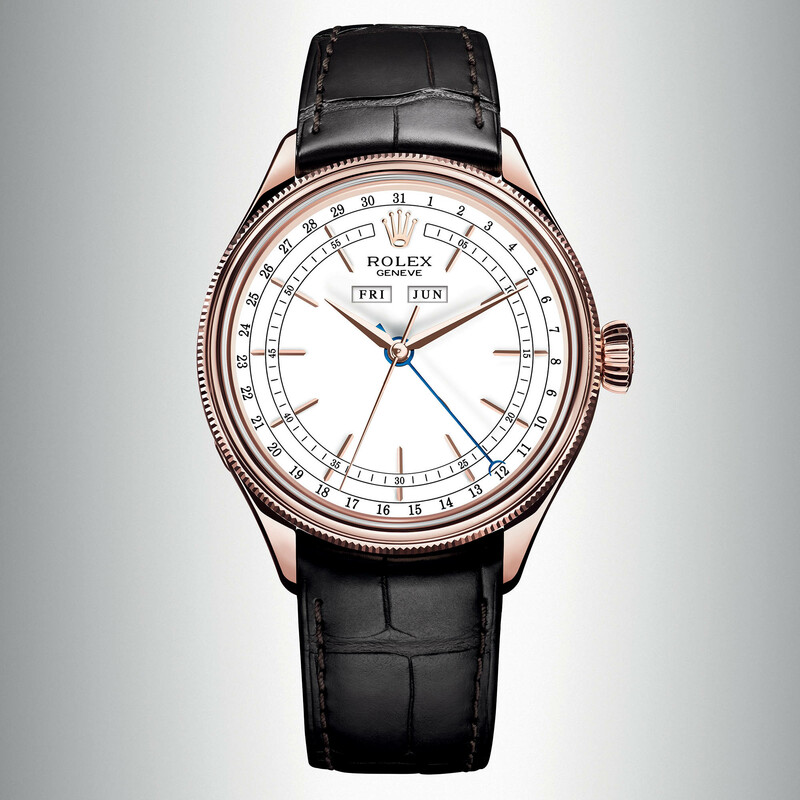 Finally, because Rolex already has an annual calendar watch in the collection (the Sky-Dweller), we could even imagine the Cellini incorporating such a complex yet practical complication – instead of a simpler triple calendar. 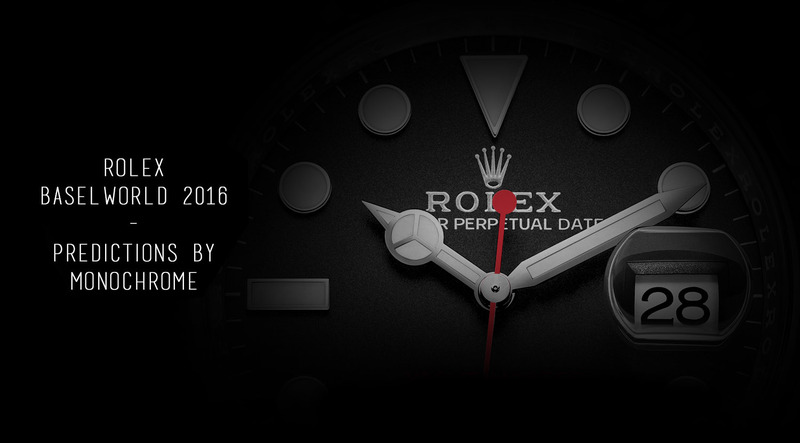 Last but not least, Rolex could come to Baselworld 2018 with updated versions of the Day-Date 36. In full continuity with the Day-Date 40, the 36mm model could easily be refreshed with the new case (slimmer lugs, thinner profile, sharper case) as well as some new dials with more modern patterns and indexes. Just like the 40mm version introduced in 2015, the Baselworld 2018 Rolex Day-Date 36 could receive the new generation movement, meaning calibre 3255 with its improved escapement, the new barrel and gear train for a longer power reserve and a new variable inertia balance wheel. This Day-Date 36 could potentially be configured in multiple combinations of dials and materials, with polished or fluted bezels and on leather straps or a classic President gold bracelet. Note: this article is based on our own Photoshop mockups, nothing has been provided officially from Rolex. These are predictions, based on our imagination and expectations. All images are under license of MONOCHROME and should not be used without agreement or copyright (©Monochrome-Watches, 2018). If you liked this Rolex Baselworld 2018 – Rolex Predictions 2018 article, we would love to hear your thoughts and reactions. Please use the comment box below. You can also share via our Facebook page, our Instagram account (@monochromewatches) and our Twitter page (@monochromewatch). Very nice write up. How about a red black gmt master II in stainless!! Agreed something’s up with the submariner. Huge shortage of most stainless sports watches here in the US. 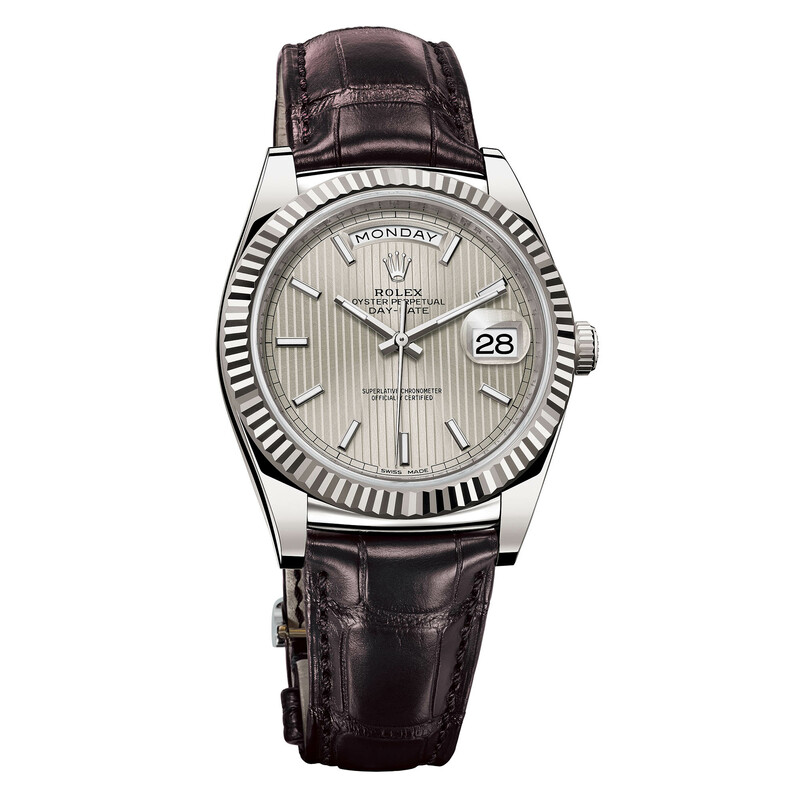 I strongly feel that they could also update the Datejust 36 with the new caliber… Don’t you think.? Maybe proposing a 38-39mm of this staple piece. No? I noticed you didn’t post a stainless steel Pepsi GMT II. Smart. Enthusiasts would have been beating your door down for it. Your hit rate over the last couple of years on your predictions has been quite good. I think you are right on 3 of the 4 with my bets on a update to the explorer 2. But I am dying for a gmt in any color in steel, I do not think it will be this year but I hope they surprise me anyway. what about a Pepsi GMT in steel and simultaneously relinquishing the batman bezel? 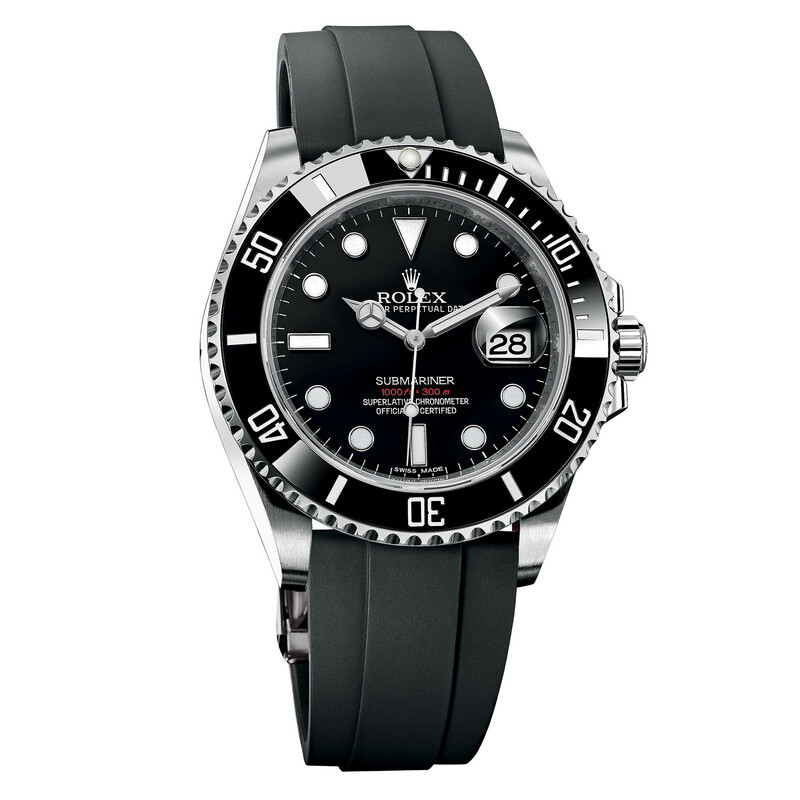 Agree somewhat on the Submariner except @ 42mm, this would give Rolex 4 distinct sub variations. No_Date @40mm, Date@42mm, SeaDweller@43mm and the DeepSea@44mm. DayDate addition of Oyster bracelet and smooth bezel. Cellini Chronograph would be far more practical in my opinion. Alter the OysterFlex bracelet to FILL THE GAP between case head and strap, makes no sense the way they originally designed it! That Polar Explorer is beautiful! 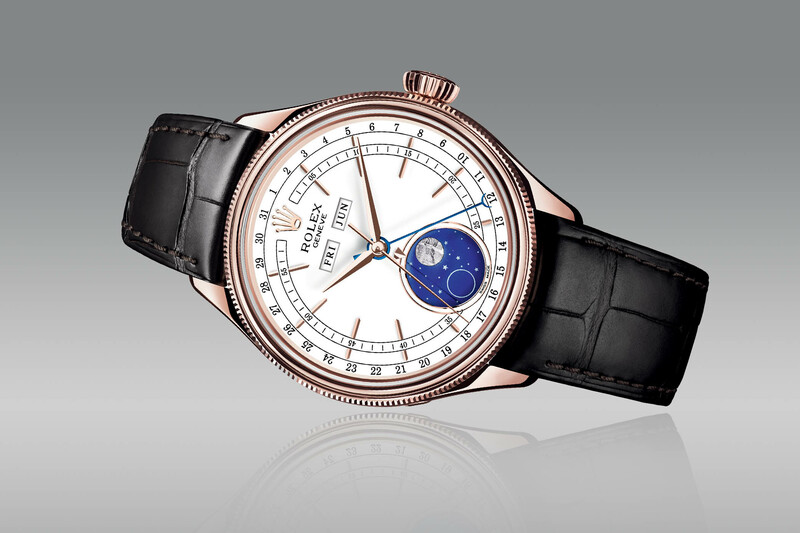 I would lime to see new GMT’s in pink gold with oysterflex…..or black. I have no doubt that Rolex will come out with an updated Sub, for two reasons. One, I just bought an 114060 No Date. (I waited several years to finally be able to be in a position to buy the Sub and my impatience got the best of me, despite knowing Baselworld is only a few weeks away) Second, most dealers are out of stock on steel subs. I would have suggested Rolex would update the case size of the Sub to 41mm or 42mm, however after wearing the watch for about a week I see that the current size is just perfect. 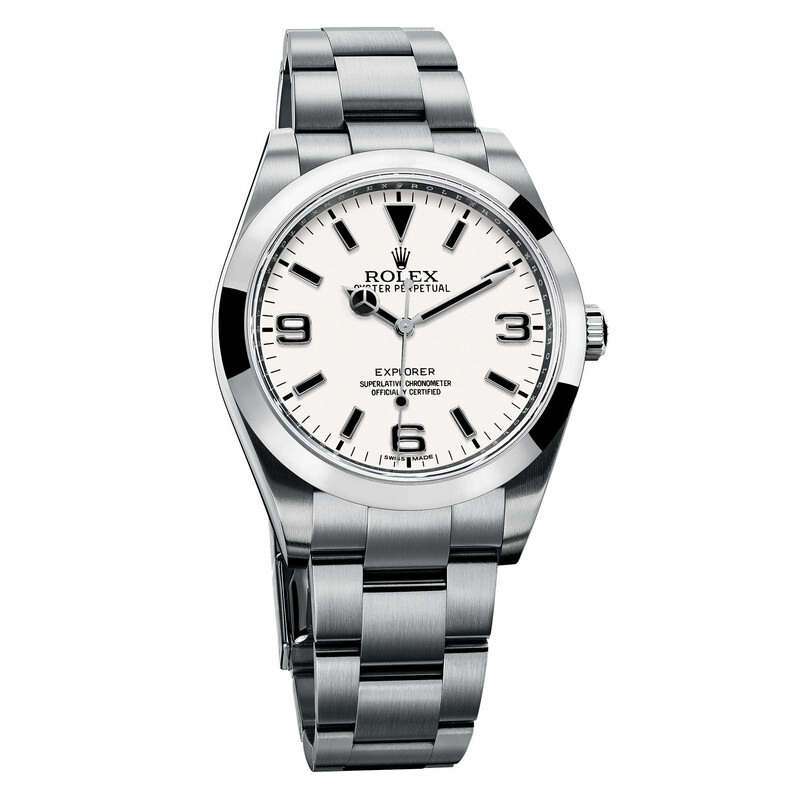 I do think Rolex will add a ceramic bezel to the Explorer II. 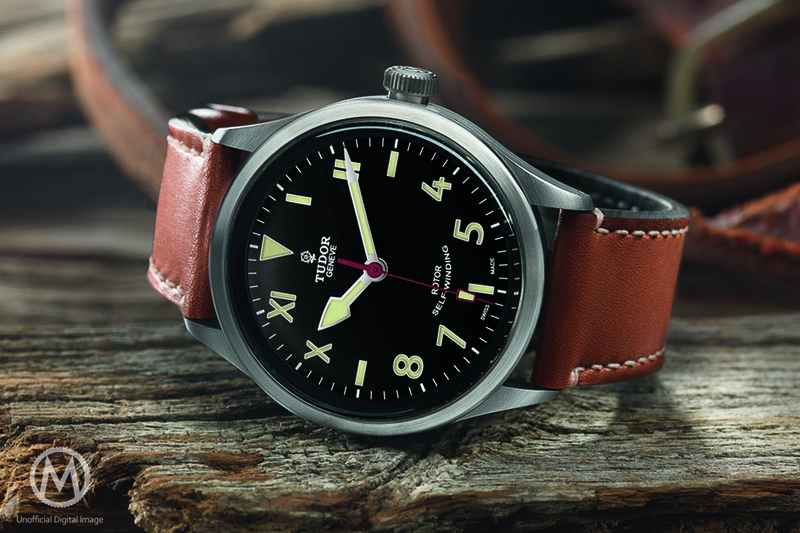 Looking at their line, the Explorer with the engraved steel bezel does look out of place. Regardless, we’ll all know for sure in a few more weeks. Would be nice to see the submariner finally in a man’s size of 43mm. They could still offer 40mm for ladies, as most ladies now are wearing this size. Rolex… if you build it, they will come! Athletes, older folks who like the legibility with a large size face, not to mention people are just bigger now day’s, 40mm is so passé. Explore 1 Polar White Dial is interesting, if date complication option is also added to explorer 1 then it may be more sorted of and amazing. My wish is they stop producing the GMT Batmen and do not put out another color GMT other than in precious metal. Why, cause I own one. 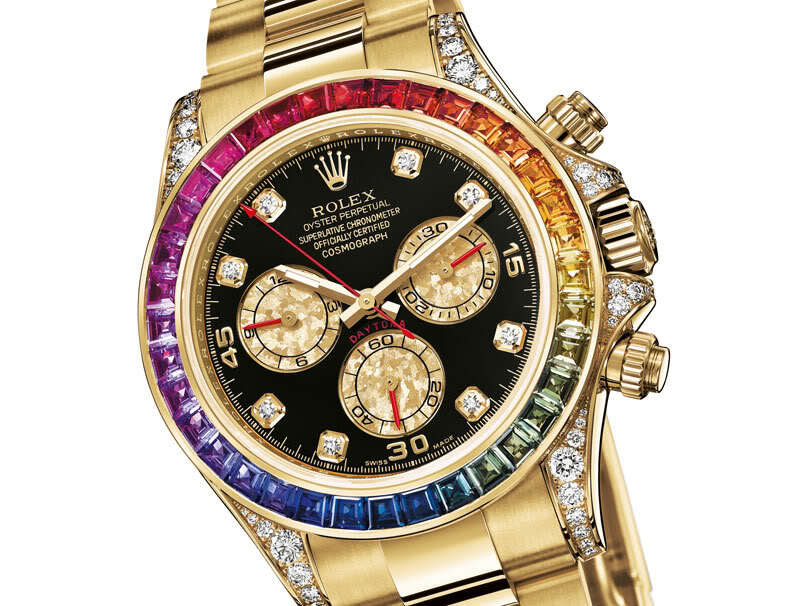 I hope Rolex will at last introduce AR coating inside their crystals. Until than my money will go to other brands. I look forward to a 42mm Sub with double side AR, 70 hours reserve power and a rubber strap included. a Rolex Submariner Date with the amazing 3235 caliber movement ticking away inside it , can it possibly get any better than that. Put me on the waiting list ASAP. I currently have the Sub Date with the beefy lugs and 3135 caliber movement and it blows away all the previous brands of watches I have owned, Omega, Tag, Breitling , in terms of timekeeping precision and build quality. Rolex rocks baby, Rolex rocks. 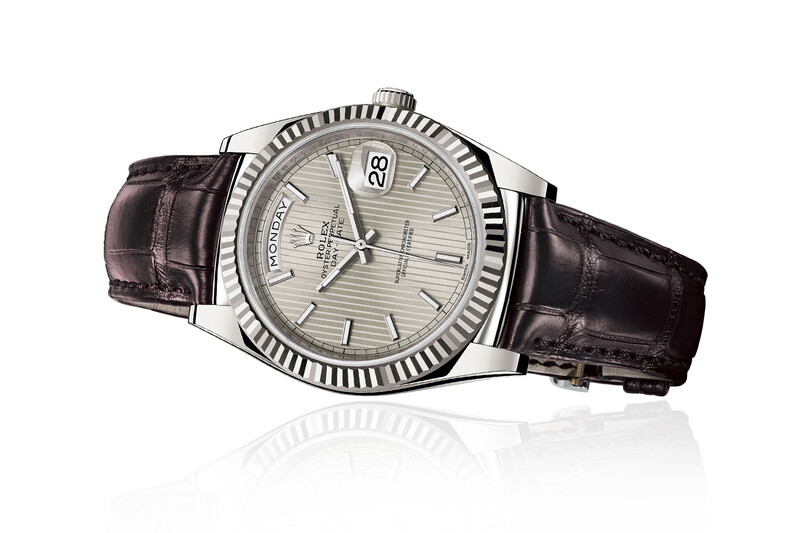 36mm now looks too small for both Datejust and Day-Date. They look like womens’ watches. If you look at Omega Speedmasters they are either 42 or 44.35mm. Watches have trended larger recently. Even Daytonas are only 40mm. I suggest a 42mm Daytona and an end to 36mm DD/DJ. Also a new no-date submariner with 42 or 43mm size. Possibly a two-tone ceramic bezel for subs, seadwellers and Deepseas. How about a totally new DeepSea d-blue with a blue, green or red cerachrom bezel. I went to my ad and wanted to buy 116610lv hulk and was told that waiting list is 6 months or more. Just crossed the street and got new omega seamaster with 9900 movement for almost half of rolex price. Not trying to initiate omega vs rolex, just sharing that I couldn’t care less what they present if that company is unable to produce it in sufficient quantity for years. I dont intend to live forever and have no intention of waiting months for a steel watch with thousands percents mark-up. The first speculation over the ROLEX DAY-DATE 36 ,white gold case and a silver dial with a teak-pattern:is a wish that I hope may come true. 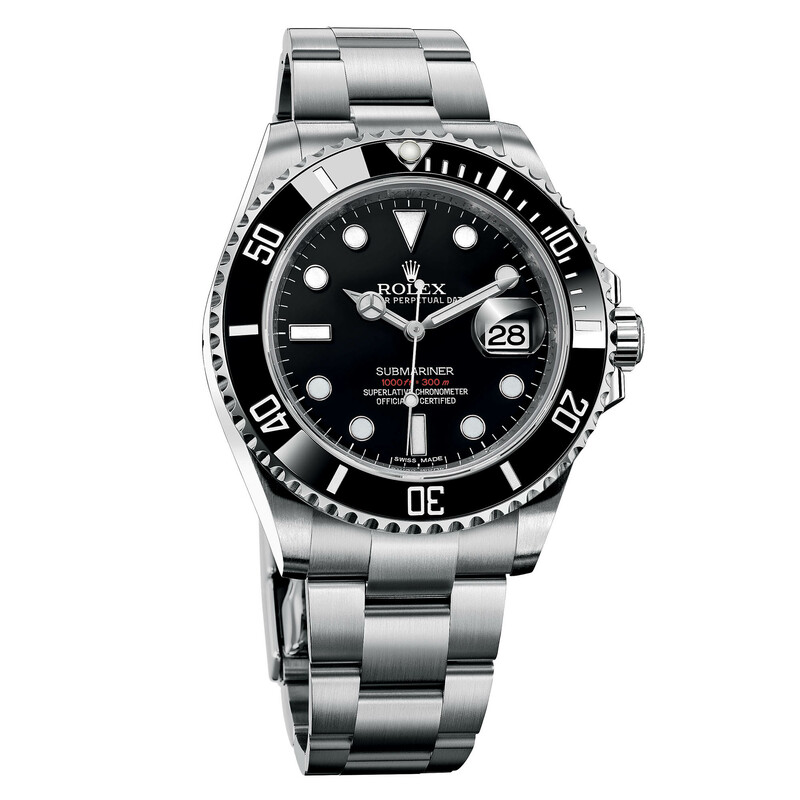 My personal wish for Basel 2018 is that the Rolex SeaDweller will no longer come with cyclops I love mine but I still could not get used to it. I think you’re bang-on with the Submariner with the new movement and Oysterflex bracelet (probably no red text though). The Oysterflex is much cheaper to make, so makes sense for Rolex too. Explorer 1 with jump hours. Please! Super Jubilee bracelet with Glidelock clasp. 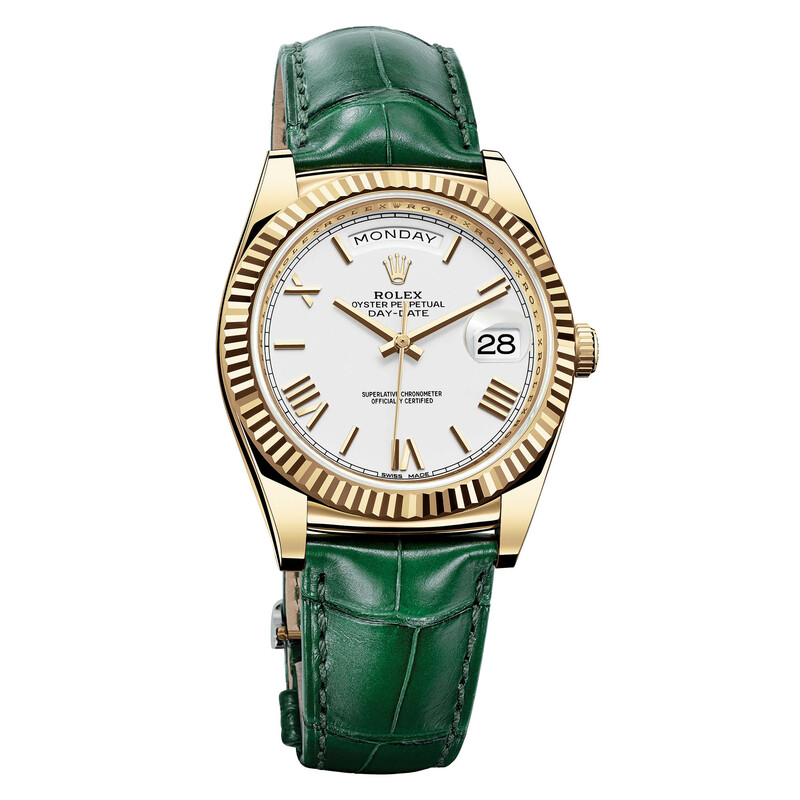 The Day Date 36 mm on a strap should known as The Rolex Classic – It will be the future bubble back……Enjoy Em Alllllll……We are all playing beat the clock!…..
Baselworld 2018 with updated versions of Day-Day 36. With full continuity with the Day-Date 40, the 36mm model can easily be refreshed with new covers (slimmer, thinner, sharper) case) as well as some new watch faces with more modern patterns and indexes.